by Cvetaeva, Marina I [Autor]. Book | 1987 | Tagebuch 1934 | Quelle | Tagebuch 1917-1920 | Cvetaeva, Marina I | Oktoberrevolution | More titles to the topic Series: Bibliothek Suhrkamp: Bd. 953Availability: Items available for loan: [Call number: LIT 599 ZWE] (1). by Cvetaeva, Marina I [Autor] | Mirowa-Florin, Edel. Book | 1989 | More titles to the topic Series: Ausgewählte Werke: 1Availability: Items available for loan: [Call number: LIT 599 ZWE] (1). 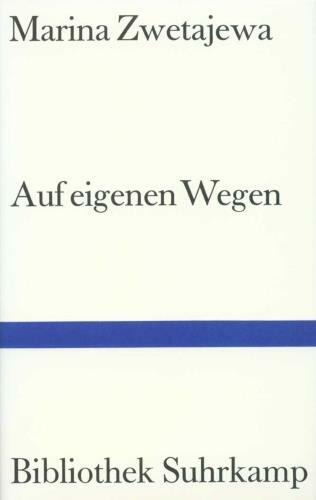 Book | 1989 | More titles to the topic Series: Ausgewählte Werke: 2Availability: Items available for loan: [Call number: LIT 599 ZWE] (1). Book | 1989 | More titles to the topic Series: Ausgewählte Werke: 3Availability: Items available for loan: [Call number: LIT 599 ZWE] (1). by Rilke, Rainer Maria [Autor] | Pasternak, Evgenij [Herausgeber] | Pasternak, Boris L [Autor] | Cvetaeva, Marina I [Autor]. Book | 1983 | Zwetajewa, Marina | Pasternak, Boris | Rilke, Rainer Maria | Brief | More titles to the topic Availability: Items available for loan: [Call number: LIT 273 RIL 6] (1). Book | 1968Series: Quarthefte 28.Availability: Items available for loan: [Call number: CVET] (1). 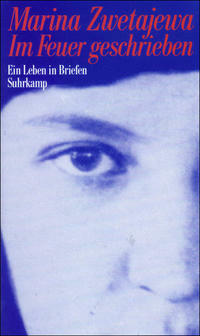 Book | 1989Series: Bibliothek Suhrkamp 1009.Availability: Items available for loan: [Call number: CVET] (1). by Cvetaeva, Marina I [Autor] | Rakusa, Ilma [Herausgeber]. 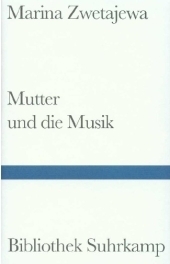 Book | 1992 | Briefsammlung | Cvetaeva, Marina I | More titles to the topic Availability: Items available for loan: [Call number: LIT 599 ZWE] (1). 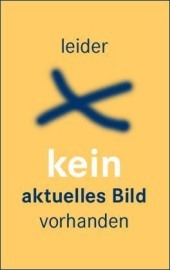 Book | 1987Series: Bibliothek Suhrkamp 941.Availability: Items available for loan: [Call number: CVET] (1). Book | 1973 | More titles to the topic Series: Benziger Broschur.Availability: Items available for loan: [Call number: LIT 599 ZWE] (1). by Cvetaeva, Marina I [Autor] | Dmitrenko, S [Herausgeber]. Book | 2001 | RUSSISCHSeries: Russkaja klassika : vek 20.Availability: Items available for loan: [Call number: CVET RUSSISCH] (1). Book | 1999 | RUSSISCHSeries: Dtv 12629.Availability: Items available for loan: [Call number: CVET RUSSISCH] (1).